In 1948 the United Nations passed the Genocide Convention. The international community was now obligated to prevent or halt what had hitherto, in Winston Churchill’s words, been a "crime without a name", and to punish the perpetrators. Since then, however, genocide has recurred repeatedly. Millions of people have been murdered by sovereign nation states, confident in their ability to act with impunity within their own borders. why this crime is different, why exactly it is said to be "the crime of crimes"
and the question of humanitarian intervention. 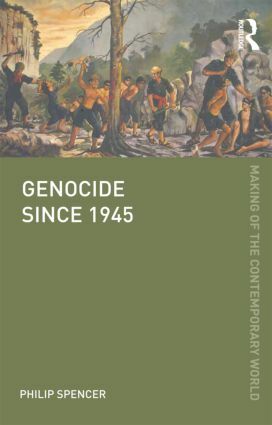 Genocide since 1945 aims to help the reader understand how, when, where and why this crime has been committed since 1945, why it has proven so difficult to halt or prevent its recurrence, and what now might be done about it. It is essential reading for all those interested in the contemporary world.